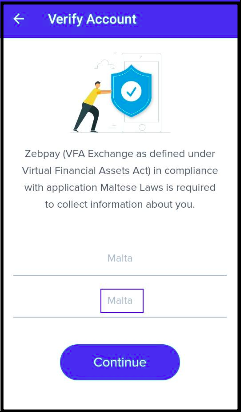 To trade (buy/sell) and send or receive any of the supported cryptocurrencies on Zebpay, account verification is mandatory. 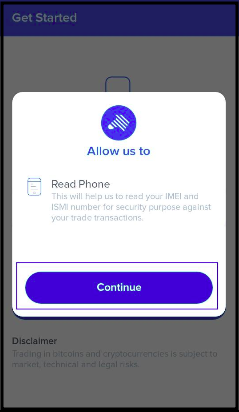 Our KYC (Know Your Customer) verification process has been designed to be as simple and seamless as possible, and can be completed within 5 minutes through our platform. The process has been explained below. Read all instructions carefully given under Guidelines. Select Let's go. 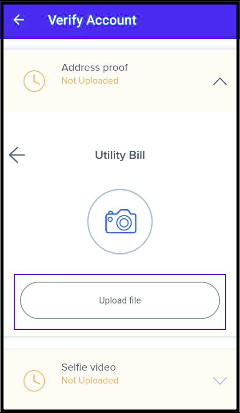 The app will ask for permission to read your mobile phone's IMEI and ISMI number. Tap on Continue. 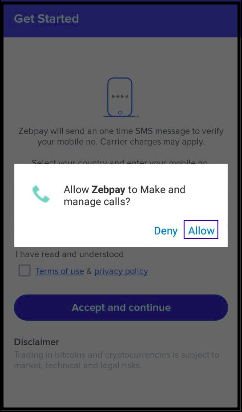 Click on Allow to give permission to make and manage calls. This is required for generating an OTP. (One Time Password sent to your mobile number). The country code will auto-populate. 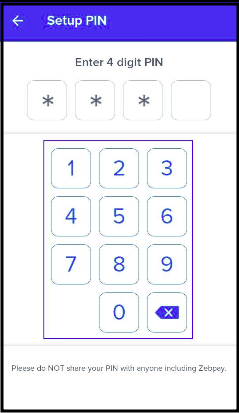 Enter your mobile number without any preceding zeros and spaces. 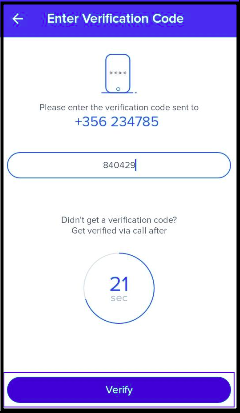 The verification code screen will come up and you will receive a verification code (OTP) by SMS. 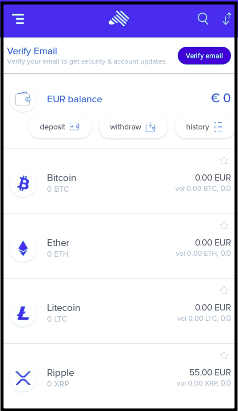 The verification code will be read by the application automatically. You also have the option of entering the code manually. 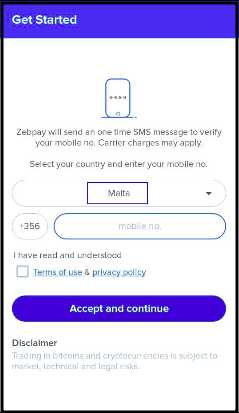 If you don't receive the code via SMS, you can also choose to receive a mobile number verification call, once the countdown timer ends. Tap on Verify once you receive the code. Once the address proof is uploaded, the final step is to record your verification video. This is a short 5-second video which the app will guide you through. 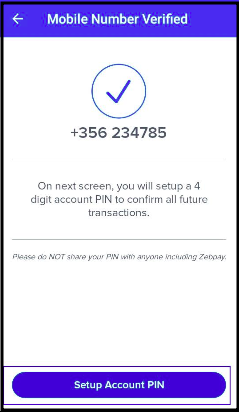 Tap on Setup Account PIN to set the PIN. Enter any four digits to set your PIN. 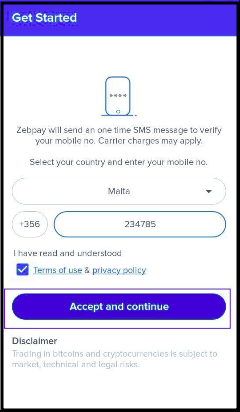 This is a unique security code known only to you and neither Zebpay nor its affiliates will ever ask you for it. Enter the same four-digit PIN once again to re-confirm your PIN. 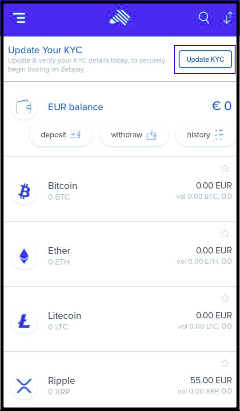 You can change your PIN at any time, using the Change PIN option in the main menu. This is the next step, once you've set up your PIN. This is required as we only communicate with customers through email. 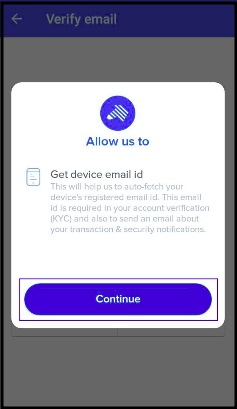 You'll also receive an email confirmation for all your transactions and security notifications. The system will auto-fetch your default email address from the device itself or you can manually enter this yourself. Once you're ready, click on Save. The email status will move to Pending and you'll receive an email verification link on your registered email address. Once you verify your email address through the link, your email address will be fully registered with us. You can change your registered email address at any time from the profile page in the Profile Menu on the app. 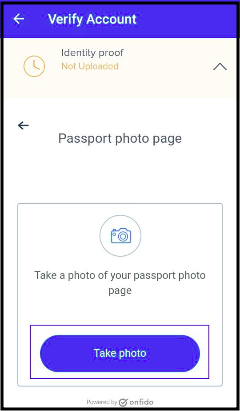 From the app home page, select Update KYC to proceed. 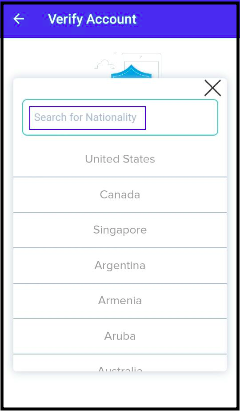 Select your Nationality and Country of Residence by tapping on the respective headers and tap Continue. 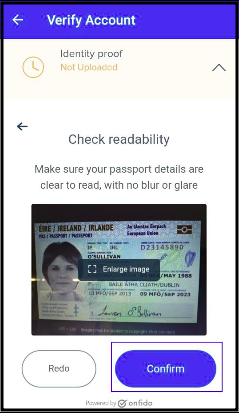 The country of residence and nationality cannot be changed once updated. 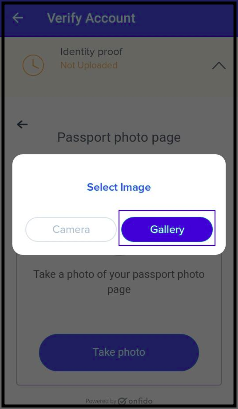 You can take a photo of your National ID document such as passport or select a saved image from your device. Click on Confirm after uploading the image. 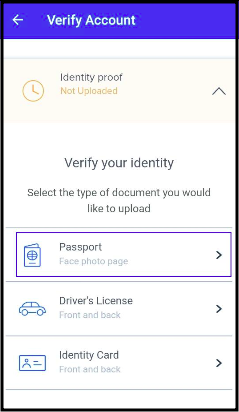 After uploading your identity proof, your address proof needs to be uploaded. You can select any document mentioned on the list as an address proof. Tap Confirm after uploading the image. 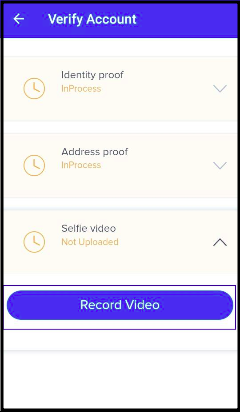 Once the address proof is uploaded, the final step is to record your verification video. This is a short 5-second video, which the app will guide you through. Keep your face within the ecliptic circle. Individually speak out the three unique digits as mentioned in the app. Turn your face as per instructions and complete your video. 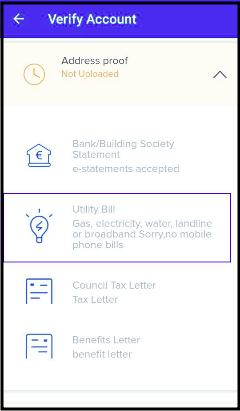 Documents are valid until the expiry date specified on documents submitted. If expired, the document shall be considered invalid. 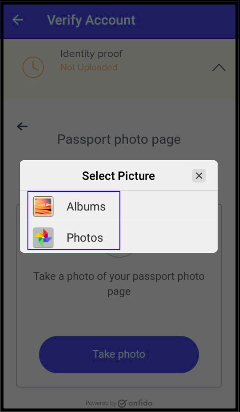 Images of both sides of documents should be uploaded. Images should be in colour and in high resolution (at least 300 dpi). File size should not exceed 5 MB. 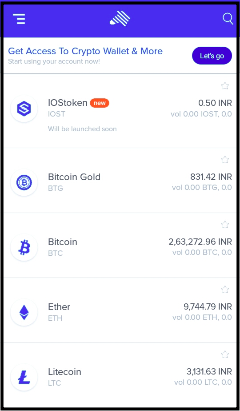 Please update your KYC details in English language only. 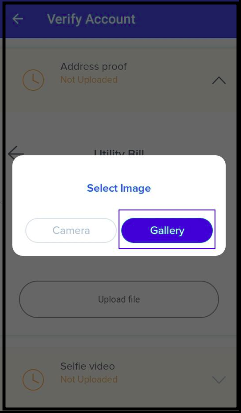 To record your video and upload documents, please allow Zebpay app access to your phone camera, microphone, and storage. 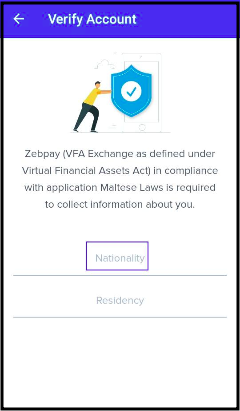 KYC verification status will reflect as pending during the entire process while you upload all your documents and update details as required. 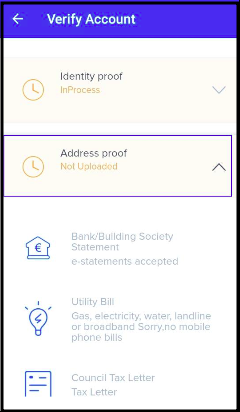 Only after your KYC documents are verified, you will be able to update and verify your bank details. Here's a step-by-by guide on bank verification.